Editor from Syria and Editor from Uganda receive Award recognizing exceptional leadership in the newsroom. Barbara Kaija, Group Editor-in-Chief of New Vision Press and Publishing Company Ltd in Uganda, has been named the 2018 Africa Laureate. Noura al Hourani, Lead Arabic Editor at Syria Direct, has been named the 2018 MENA Laureate. "This acknowledgement by WAN-IFRA is recognition for all women in the media in Africa. My win, is a win for all women in the newsrooms at Vision Group and all women in the media in Uganda. I am humbled to join the few women laureates in newsrooms in Africa and I pray that this will grow into a large army and large voice for the voiceless in our society.” said 2018 Africa Laureate Barbara Kaija. On being named a winner, 2018 MENA Laureate Noura al Hourani said: "Today, we must strive to empower women at all levels and ensure that they are properly represented in leadership roles--politically and professionally, especially in the Middle East. I am incredibly grateful to Syria Direct for providing me with my first opportunity to lead, and I want to thank WAN-IFRA for your support and encouragement for women to be role models." The Women in News Editorial Leadership Award is part of WAN-IFRA’s Women in News initiative, made possible through support from the Swedish International Development Cooperation Agency (Sida) and the Norwegian Ministry of Foreign Affairs. The Award recognises one Laureate from MENA and one Laureate from Africa, annually. 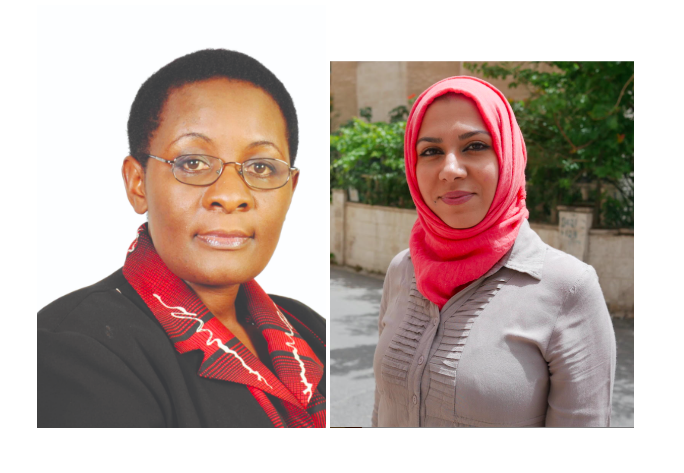 Previous Laureates include: Toyosi Ogunseye, former Editor of the Sunday Punch in Nigeria, Karima Kamal, columnist and contributing editor for the Egyptian daily Al Masry Al Yom, and Pamella Sittoni, Editor of the International Desk for the Nation Media Group and Managing Editor for The East African.